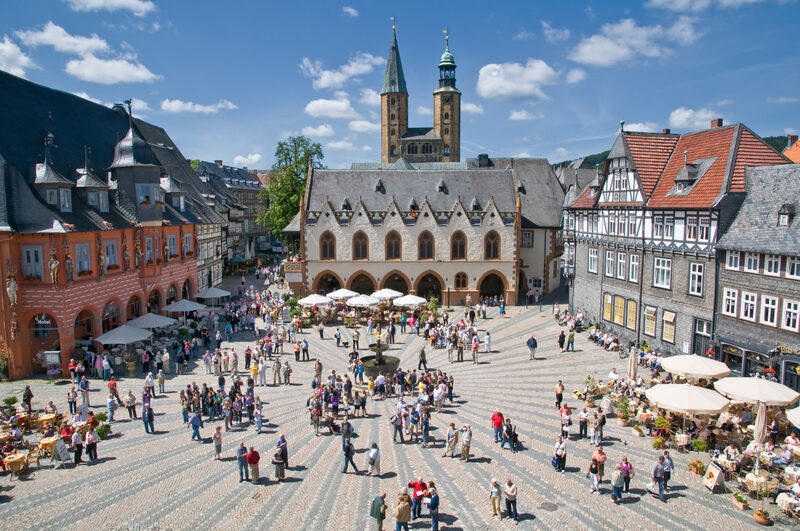 Discover Goslar and be enchanted by its medieval flair of the historic town. 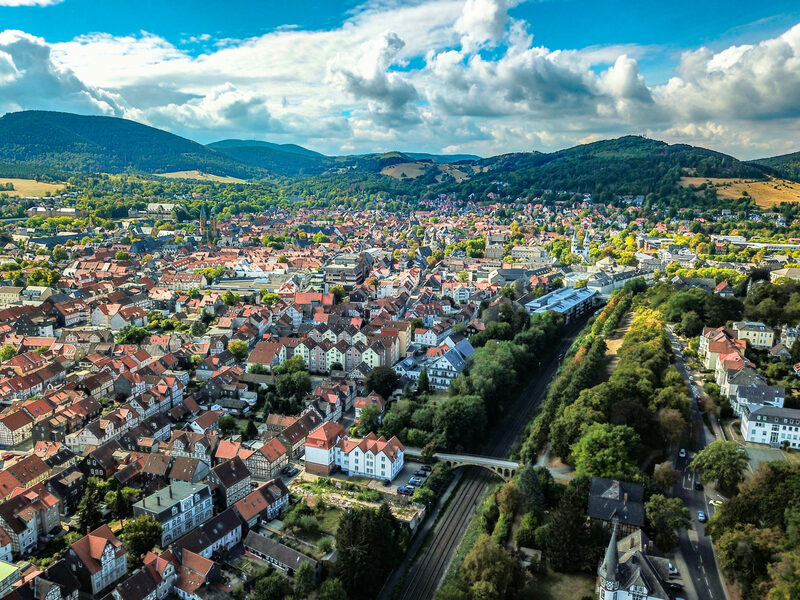 Our FIVE STAR Holiday Apartments (Classification according to DTV) are located directly at the town wall in the town centre of Goslar: A city with the historic town centre with all important sights, the pedestrian zone and numerous restaurants and cafés can be reached within a few walking minutes. Enjoy first class living comfort in our new, modern and cozy holiday apartments. High-end furnishings and equipment harmonize with a charming old construction elements. 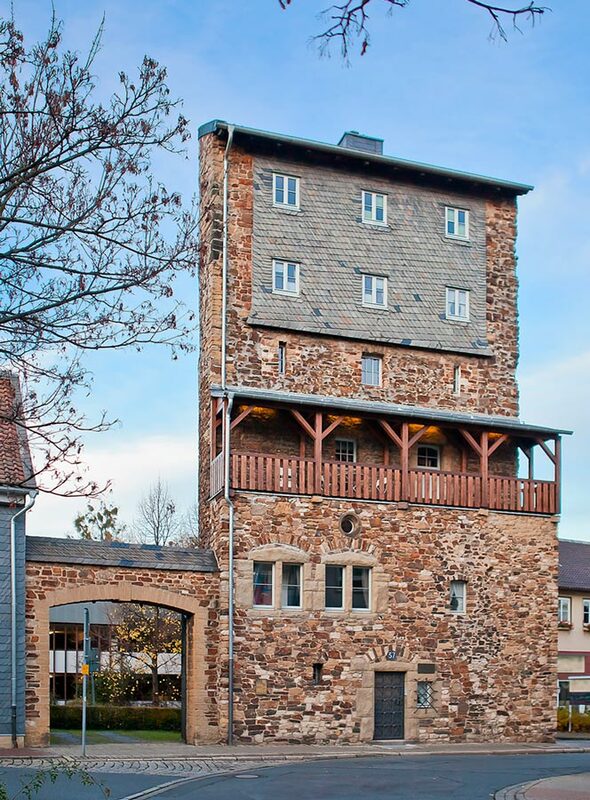 Our apartments are the ideal starting point to explore Goslar and the Harz Mountains. A generous garden landscape invites you to relax. Just relax after your tours and activities full of discovery and enjoy the sunset with a BBQ at the foot of Goslar’s mountains. All Apartments are equipped with high quality and modern fittings. Bedrooms have got comfortable box spring beds, a flatscreen TV, and sufficient storage space for your luggage and a safe for your valuables. Bath rooms are fitted with a large shower, hairdryer, cosmetic mirror and an individually controllable underfloor heating. The modern kitchen fitted with refrigerator including freezer compartment, coffee capsule machines, oven with ceramic glass cooktop area, dishwasher, water boiler and toaster provides sustenance. The entirely furnished apartments offer beside a further flatscreen TV and stereo in living and dining area free WLAN as well. In the interest of all guest we would like to inform that there is a SMOKING BAN in all our apartments. 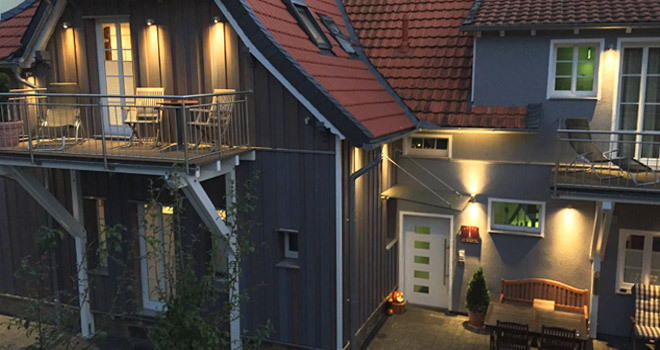 In our entire apartment you will find selected brochures about Goslar and surroundings, as well as a set of hiking maps and restaurant tips! By the way, we are happy to provide you with a baby cot for our little guests. Just get in touch! On arrival we offer you a bottle of mineral water in your apartment. Historical, modern and plenty of space to feel good! Beside the rented apartment you may also benefit from the other amenities of our house. This includes a central washing room for your laundry, fitted with washing machine, dryer , ironing board and iron which you may use free of charge. Furthermore there is a refrigerator available to all our guests filled with a small selection of beverages (against payment). You car is safely and inexpensively parked on our car parking bay or in one of our four garages. 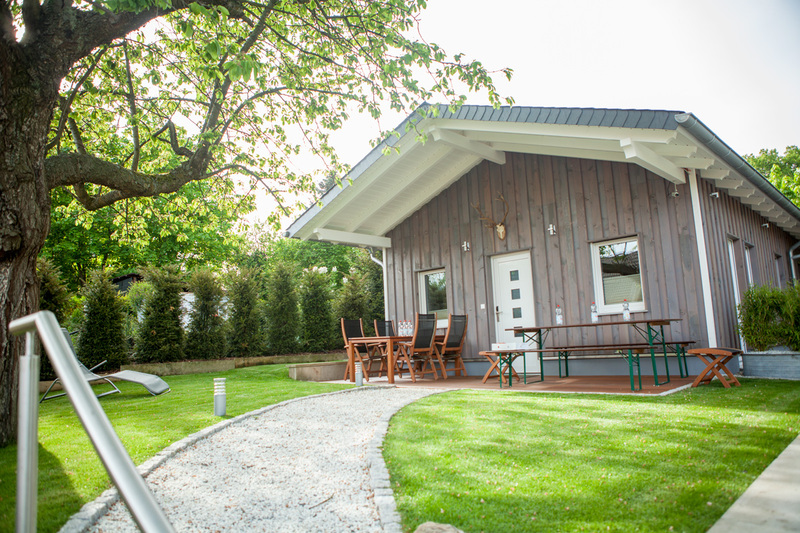 After an eventful tour through the Harz Mountains you may clean your mountain bike at our washing station. The adjoining garden with comfortable garden furniture, a garden house and a BBQ place invite for a nice barbecue or simply to relax. We are ready to assist you anytime! On request our reception will be occupied for you. 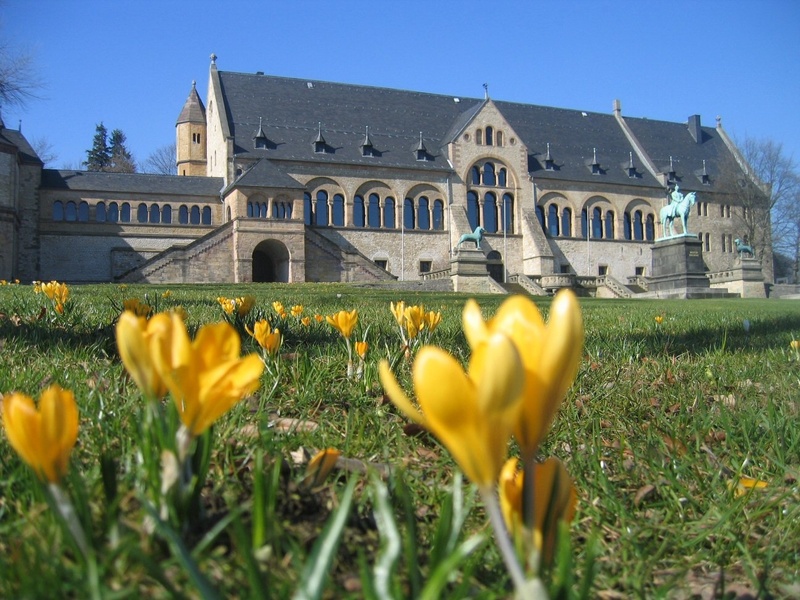 We assist you for questions about our house and the offer as such, provide you with information and tips on your excursions in and around Goslar. Beyond our opening hours you may contact us by phone. You are planning a bicycle tour or want to explore the Goslar landscape with Nordic Walking sticks? – No problem! We are happy to provide you with bicycles (against payment) and provide you with Nordic Walking-sticks. And when in winter the toboggan (sled) hills call, you may use one of our fast toboggans for free. 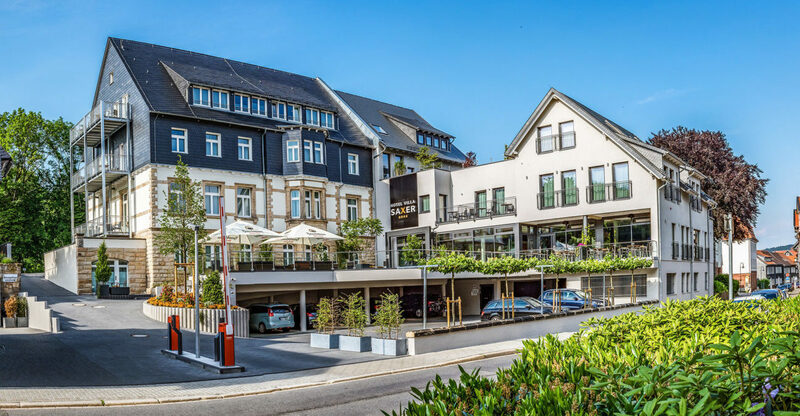 Besuchen Sie auch unser Hotel Besuchen!